I write this article in the first half of the first world cup game on 12th June. Whenever there is something exciting or different going on, I find myself feeling particularly close to Huw and the sense of him not being here is particularly strong. Having said that I couldn’t really feel any closer to him or miss him any more than I do on a boring Tuesday afternoon! But as the summer of sport gets under way, in particular the world cup, every iconic moment that is created this summer, is another moment of regret that Huw isn’t here to experience it with us. 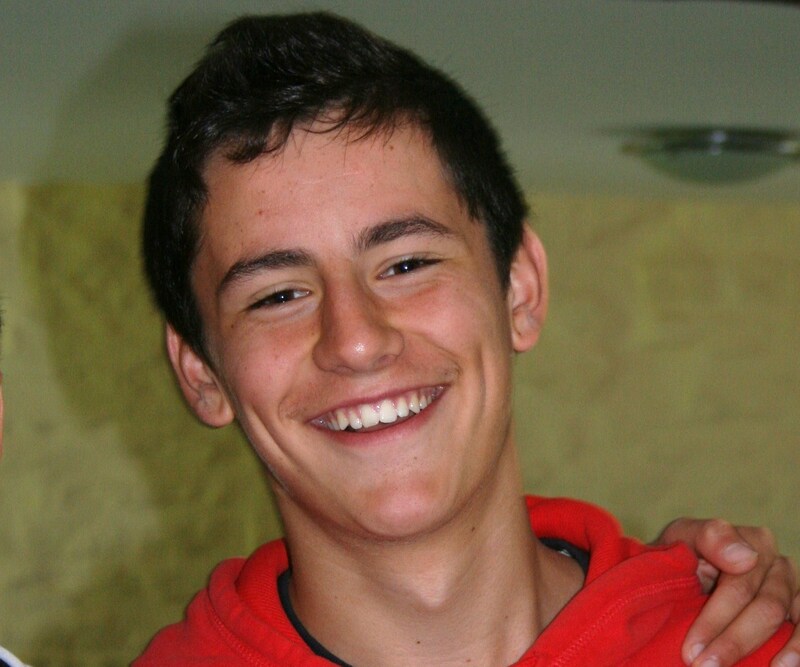 Here is a beautiful picture of Huw taken just after the last world cup in summer 2010 – the last summer that Huw was with us. 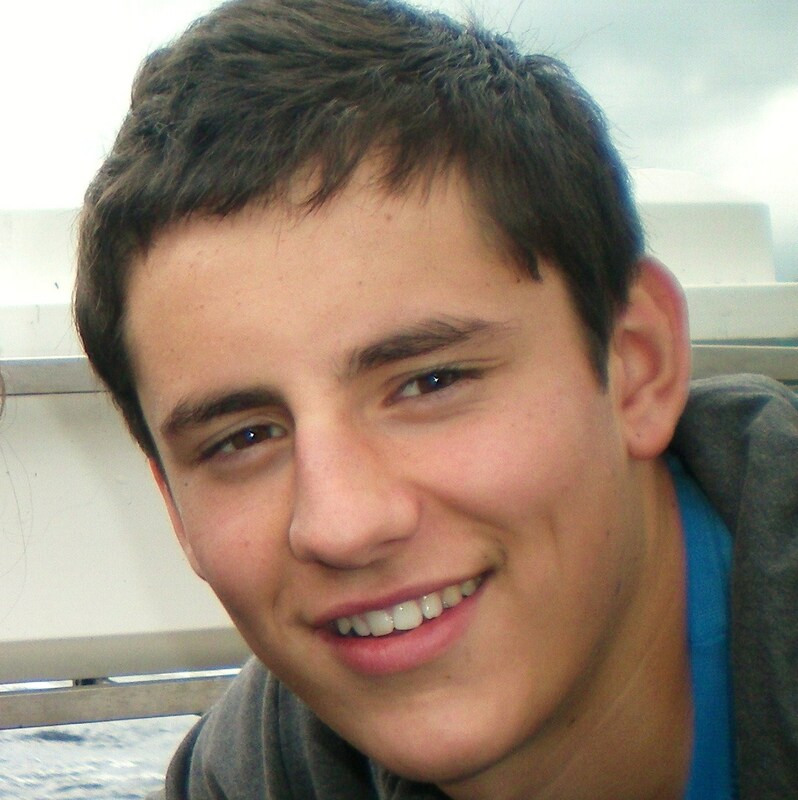 This summer should have been one of the happiest and most memorable of Huw’s life – finishing A levels and having a long break, getting ready to go to Uni, going on a holiday without parents, enjoying the world cup, having a girlfriend, and looking forward to the Tour de France passing through his home town. At the moment we also have the Wimbledon tennis around the corner, the starf of the golf ‘majors’ and the start of the summer test cricket matches. All of these are things Huw would have loved – we had a bucket list of sporting events that included many of these events. I think back to world cup years when I was young – the iconic moments I witnessed included Bobby Moore and Pele swapping shirts at the end of the game in 1970, the Gordon Banks save in 1970, the scenes in Argentina as the hosts won the world cup in 1978, Gaza’s tears in 1990 and so on. While that really shows my age, I was lucky to witness those events that have gone down in sporting history. The first world cup game I remember watching with Huw was England vs Argentina in 2002 – watching David Beckham score the penalty that won the game – we watched it on holiday in Woolacombe, North Devon (the family’s favourite holiday destination). I remember the excitement of watching Senegal beat France in 2002 with Huw, and always filling in a wall chart with him. 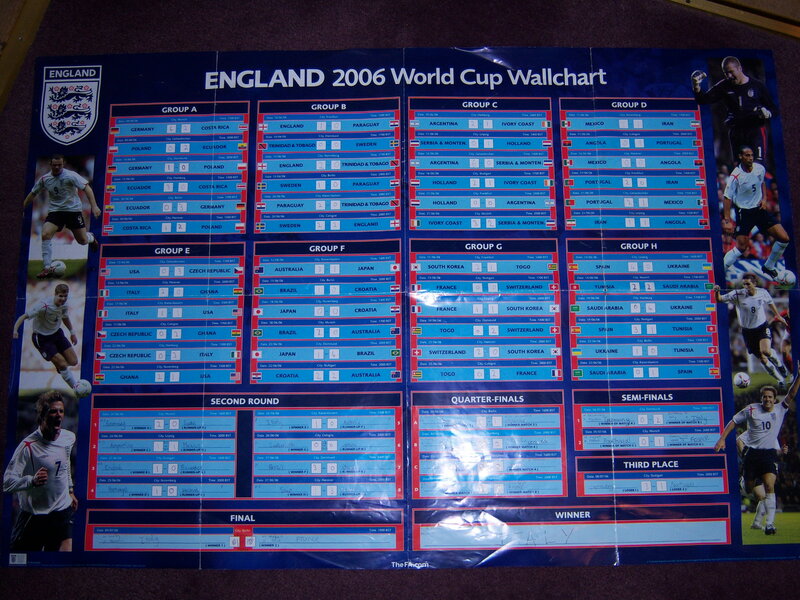 A World Cup Wallchart is one of the ‘boyish’ pleasures of a World Cup to me – Huw and I loved filling in the wall chart and here is the one he completed in 2006. The last world cup was in Huw’s last summer with us – he was enthralled (but disappointed) with England’s early exit and Frank Lampard’s goal that never was in 2010. Huw, Carys and me loved watching England’s first match 4 years ago with Matthew and Craig – even though the broadcasters ensured we all missed Steven Gearrard’s goal! The summer of 2010 was the summer of the incident of our new television and Huw’s new cricket bat – an innocent and amusing incident involving Huw and Carys that could have been very expensive but fortunately the insurance company came to our rescue! Instead of Huw being with us, watching history being created (and even creating a bit of his own knowing him) we are left to dream about our perfect boy. Not in any way have have Carys, Jenny or I experienced any sense of ‘you never appreciate what you have got until you haven’t got them anymore’. When we had Huw we knew exactly what we’d got; we appreciated every aspect of him and exactly how lucky we were to have him. Looking at this lovely photo of Huw’s last summer, we are as lucky to have the memories of our beautiful boy as he is unlucky not to be having the summer of his life right now.